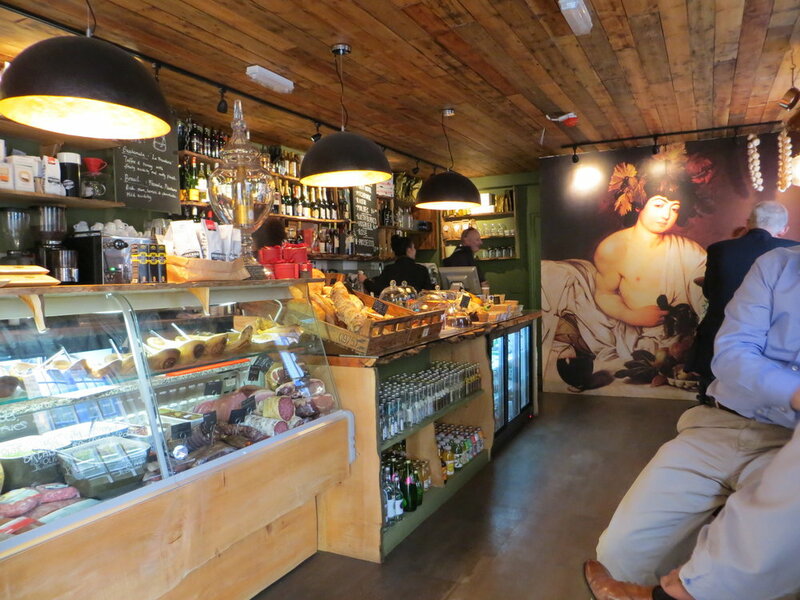 A former flower shop, B Street is a cosy local deli by day and wine bar at night. Working closely with the client on design, we produced a number of rough cut timber features from shelving, shutters and reclaimed floor board ceiling. These alongside the hessian coffee bags hung on the wall with a giant Art feature of Bacchus, The God of Wine helps to create thisunique concept.